An upcoming luxury collection by Air Canada Vacations is being readied for release in about a month, and will help drive more traffic to the Aloha state, says ACV. The new luxury collection brochure will be released this November, and will feature the Ritz-Carlton Residences, the Royal Hawaiian Resort, the Westin Moana Surfrider Resort and the Kahala Hotel & Resort, reports western editor, Ted Davis in the special Hawaii supplement in the Oct. 9 digital edition of Canadian Travel Press. “We’ve seen strong growth since the addition of Air Canada Rouge service to Hawaii,” said Tina Seminara, director of product development for ACV in Mississauga. She also credits the fundamental evolution of Waikiki away from a stereotyped, down market presence to a much more upscale, world class destination – a dramatic change that has swept through Waikiki over the past decade. “If you haven’t been to Waikiki in over ten years, you have to come here to see it for yourself,” said the director. An ideal stay on Oahu would combine three nights in Waikiki with four nights on the north shore at a luxury property like the Turtle Bay Resort, she said. Denise Sterling, product manager for WestJet Vacations, agrees with that overview. 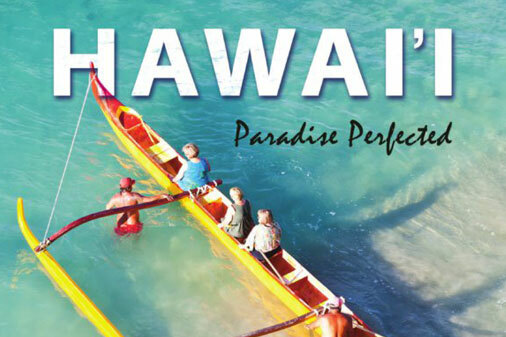 For the full story, check out CTP’s Hawaii: Paradise Perfected supplement by clicking here.